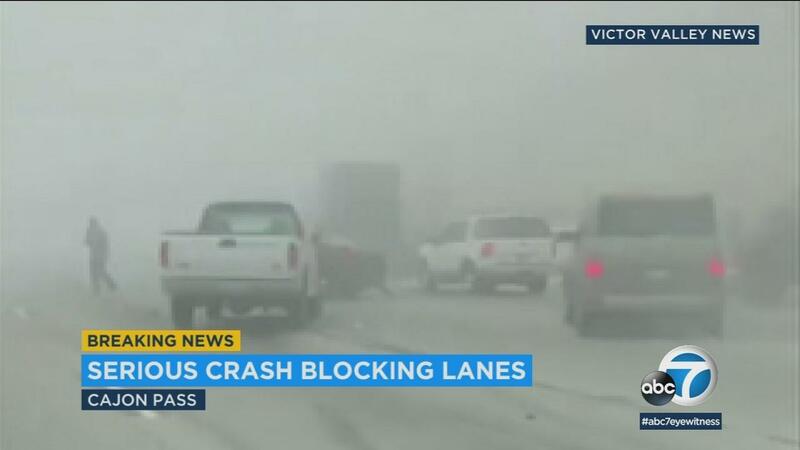 Firefighters and paramedics were exposed to a crash of several vehicles on the southbound 15 freeway in the Cajon Pass at least 17 injured persons, it said. A tweet shortly after 11:15 on Wednesday said the San Bernardino County Fire Department's three-arm, major accident accident occurred between Oak Hills and Highway 138. The conditions of the individual victims were unclear. The cause of the pile-up that led to the closure of all southbound lanes was not immediately known. The visibility in the area was limited due to dense fog. All lanes of the motorway 15 in the south opened at 13:30 clock again.